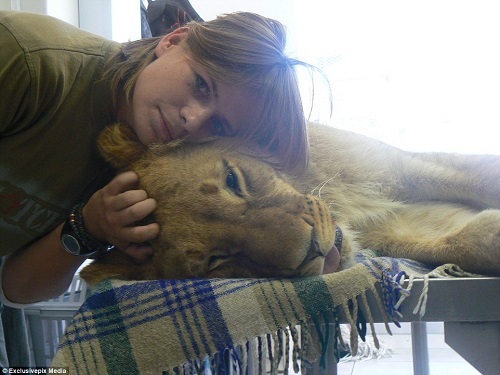 A South African woman named Miekie van Tonder has showed unconditional love to a lion she met 5 days after the cub separated from her mother. Miekie took Elsa home, raised her with her hands and took care of her till she grew a little older. 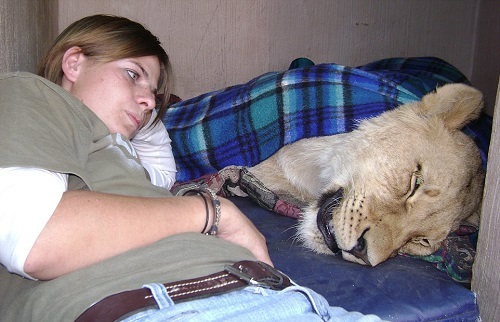 Elsa later moved to an enclosure which she shared with two, slightly bigger, male lion cubs. 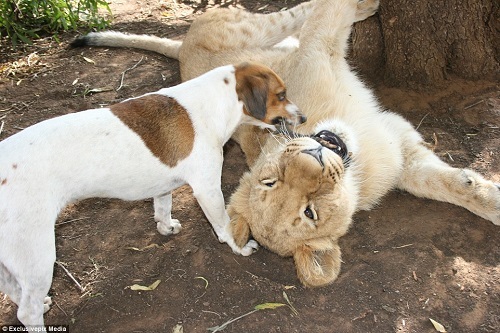 Elsa who was 8 months then and had never interacted with lions before and wasn’t used to their rough play but joined in and injured her neck. 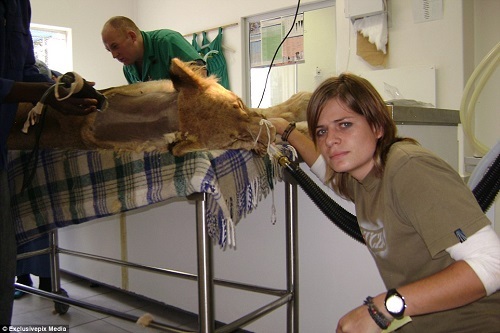 Miekie then went for her, and realized she had to go for an operation, but the money she had wasn;t enough to fix it. So she went for lion’s cloth, stayed in traffic and begged for money to operate her ‘pet’. After realizing the needed money, Elsa underwent a two hour operation which appeared to fix the problem but later started having problems with her balance.